New York, 1906. 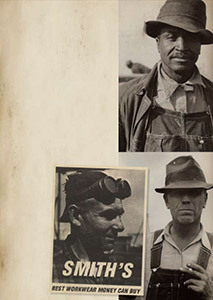 Thousands of immigrants landed at Ellis Island to create, with their own strength, a new life in the New World – someone thought to invent for them new resistant and comfortable workwear. It was the Boshnack family. 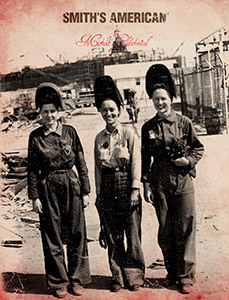 Thus was born the Smith’s American: “best workwear money can buy”. A strange destiny. More than a century later, it is a process of reverse migration, to give prestige to a brand full of history and stories: a bizarre comings and goings, with one goal – success. It is Italian style, with its contribution to innovation, craftsmanship and the will to succeed, that make Smith’s American a must-have across the ocean. Bridge, licensee of the brand, gathers and enhances the heritage with new casual chic collections. Clothing, footwear and accessories: – American style and made in Italy has had spectacular results. A synergy of different genes generates great ideas. A sign that catches your eye, that is appreciated, soft to the touch and that you can wear from head to toe. New York, 15th February 1906 – Brooklyn Overall Company Inc. is born. 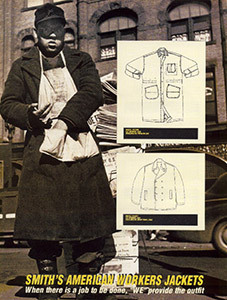 Soon thereafter Smith’s becomes a benchmark for working class clothing. 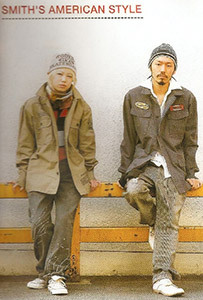 When work needs to be done we have the clothes for it. 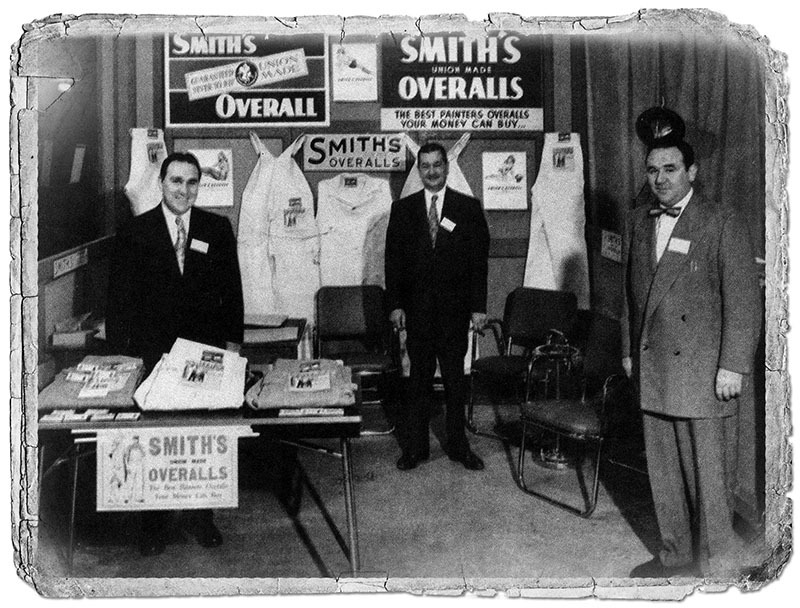 Smith’s becomes very popular and the affection and love for the brand was a natural result. By 1928 it is in every big city throughout America. 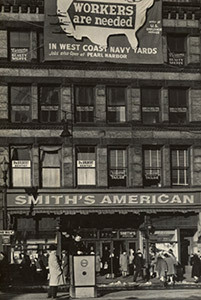 First Smith’s flag ship store and official office open in Brooklyn, New York. 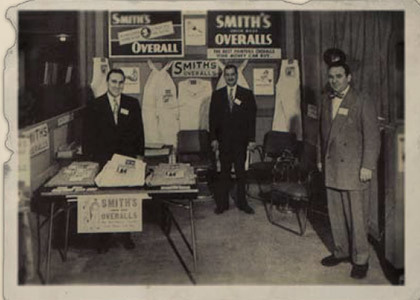 Smith’s has been invited to attend at the first Textile Clothing Show in New Jersey. 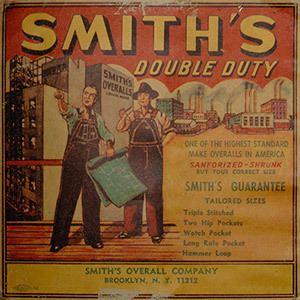 After the Second World War more and more consumers appreciate and trust Smith’s. 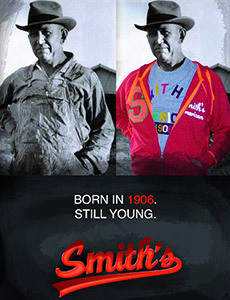 From San Francisco to Hong Kong, from Paris to Athens – all the biggest cities are fascinated by Smith’s. 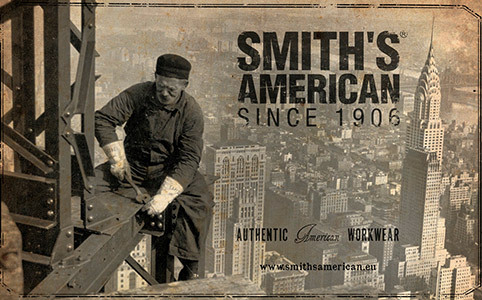 Smith’s American is known and distributed all over the world and arrives finally in the Italian market. Smith’s arrives in Japanese market. Smith’s arrives in China. Overalls, jackets and work trousers made of denim and design to withstand the day life start to attract students and white collar workers. In Europe even the most sophisticated consumers have been seduced by the brand. Amongst others, Bloomingdales and Sak’s Fifth Avenue sell the Smith’s brand. New Europe and Russia brand licensing agreement for Bridge Srl. The world is changing and Smith’s has updated and restyled many of its iconic products to meet the demands of this new world with a new look. Our philosophy however remains the same. Even after generations the company and the brand’s DNA have not changed. The value of what we create has never stopped working – that is why our outfits are iconic. It was born under a lucky star: the one that appears discreetly in Michela’s logo, perhaps reminiscent of the stars and stripes, or of a near future that will conquer the stars. “Timeless and ageless” apparel with absolute comfort.